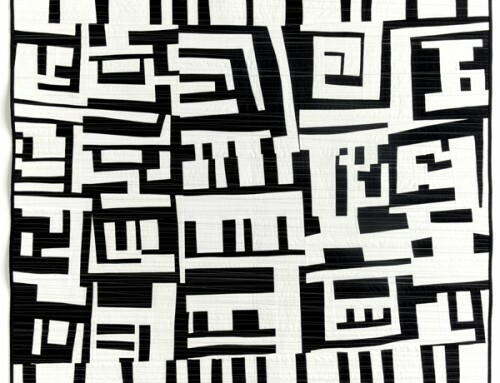 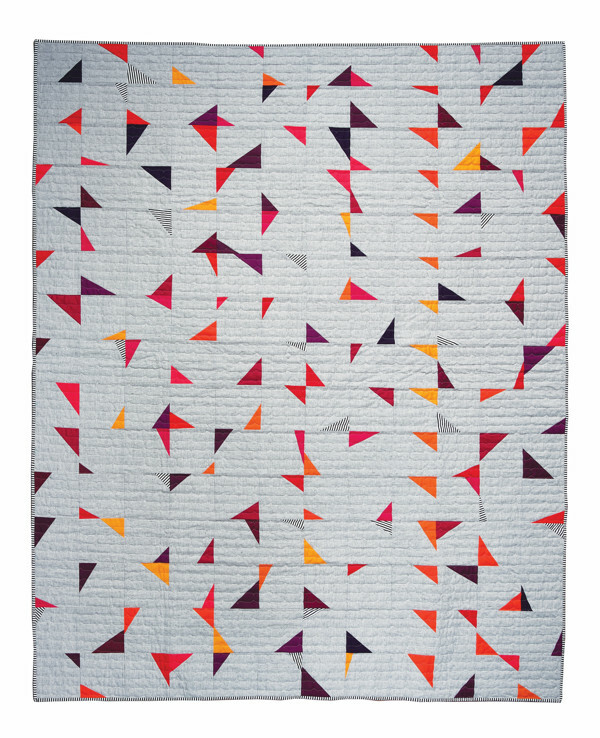 The Wedding Quilt from my new book Modern Heritage Quilts is a bold and beautiful quilt. 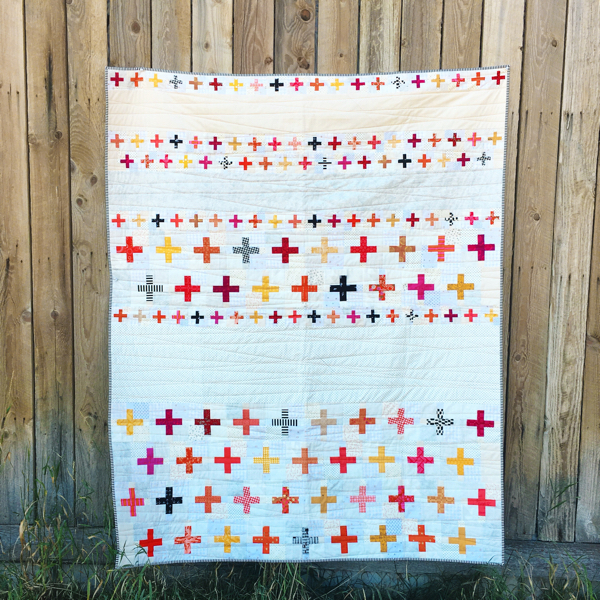 The Wedding Quilt was expertly pieced by my friend Audrie Bidwell – a BIG thank you to her for helping me to meet my deadlines! 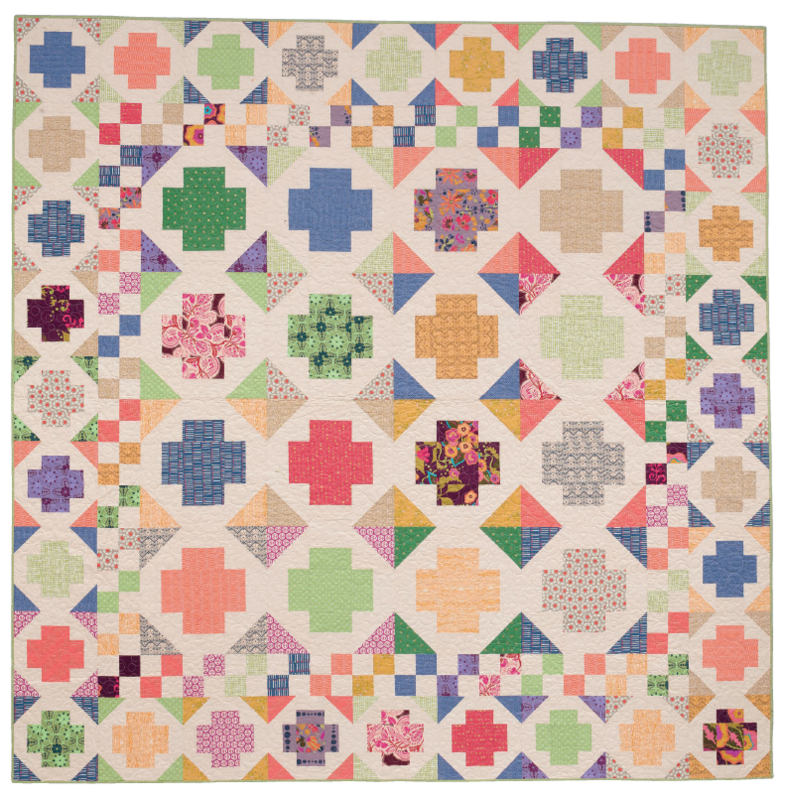 The Greek Cross blocks in the center and border of this quilt are assembled like the common Churn Dash block. 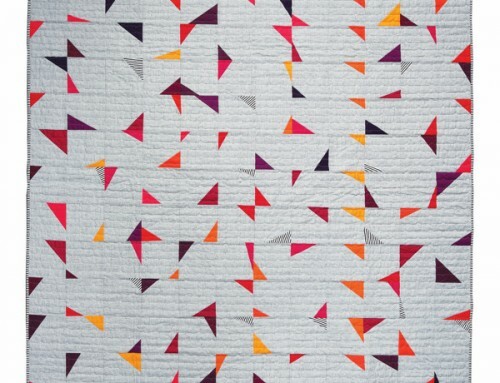 It’s amazing the difference color placement makes. 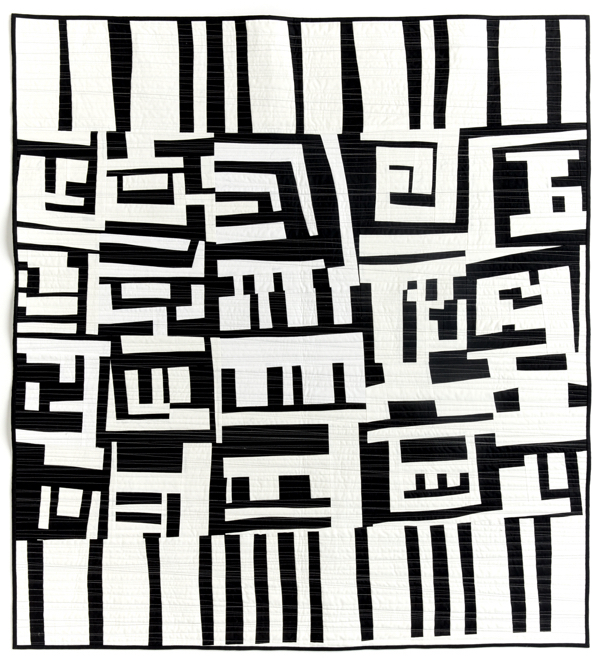 The block is an early variation of the Nine Patch (1800-1840), with simple elements that make it a great block for beginners. 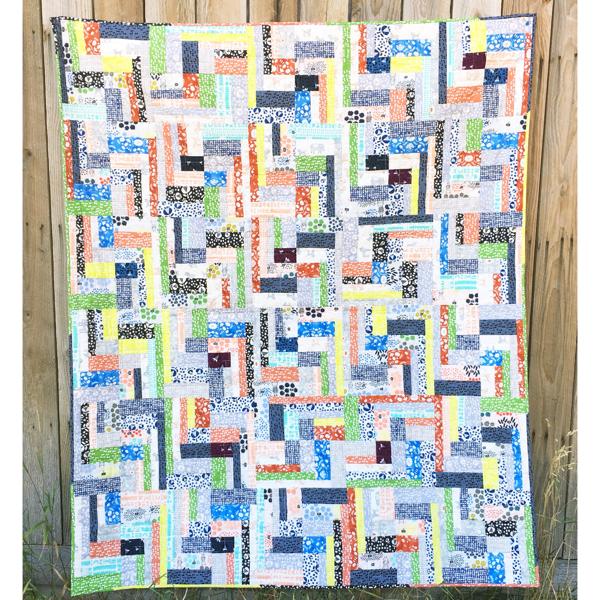 “The Wedding Quilt” came about because I needed a wedding gift for my sister-in-law. 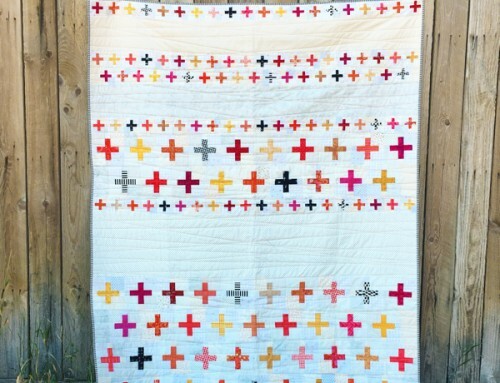 Her now husband is really tall and appreciates that this quilt is long enough to cover his toes! 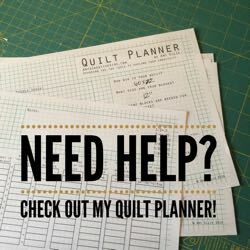 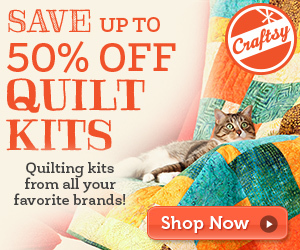 If your quilt doesn’t need to be quite so large, I’ve included a queen-size version too! 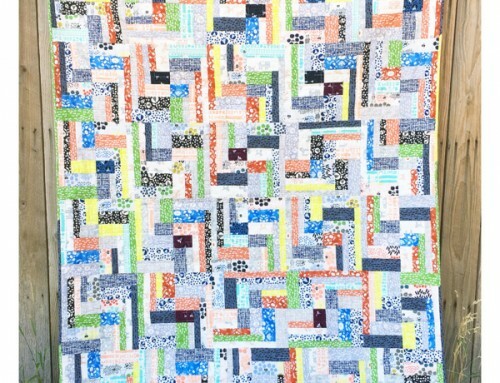 You can see in the flat shot how I adjusted the block size to fill the large 108″x 108″ quilt. 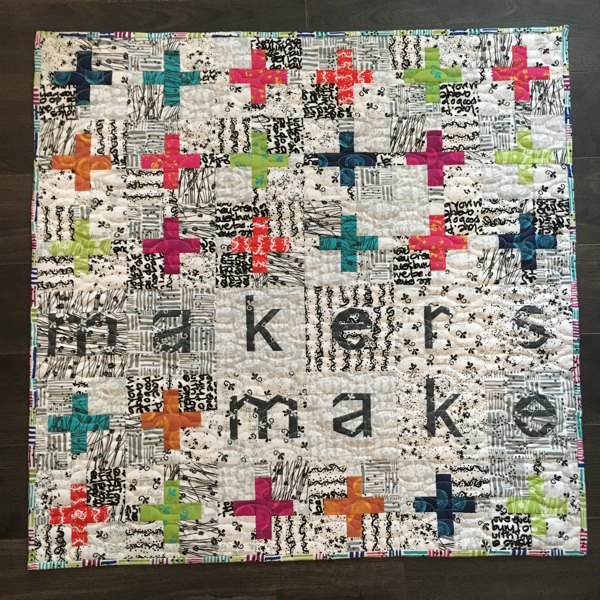 I love how simple yet involved the quilt is! 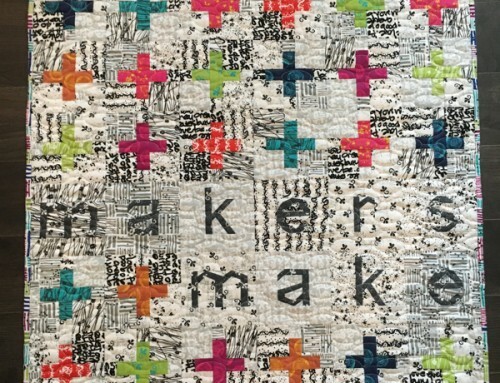 There’s lots to see and your eye keeps moving from point to point, exploring the prints and color. 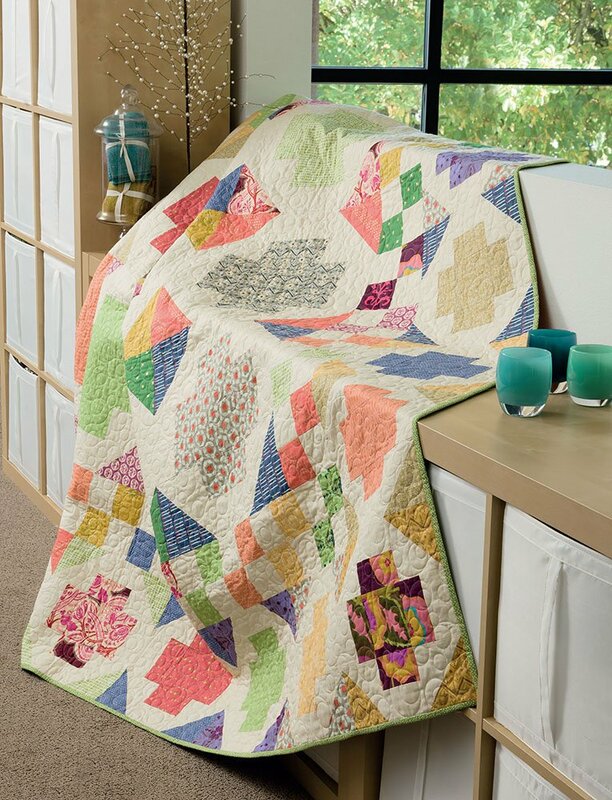 The Wedding Quilt is beginner friendly, with straight lines, and half square triangles offering the biggest challenge, but I would suggest sending it out to be quilted on a long-arm.